IBC metastasizes to the brain in about 19% of IBC patients within the first 2 years after diagnosis. Unfortunately the incidence of these metastases is increasing despite more effective systemic therapies that have controlled a subset of other organ metastases for longer periods than in the past. While brain metastases are incurable, there is increasing optimism about the ability to slow the progression of these tumors in at least a subset of patients. Recurrences in the brain are most common in triple negative (TN) and HER2-overexpressing IBC patients (~35% each), however hormone receptor positive patients also may develop these metastases later in the course of disease (rarely as a first site of recurrence). Survival after a diagnosis of IBC brain metastasis is correlated to the subtype that the primary tumor was i.e. brain metastases derived from HER2-overexpressing primary tumors have a longer natural history than TNBC or HR+ derived-tumors. While we lack a large body of modern data, anecdotally, most of the longer-term IBC brain metastasis survivors have HER2+ tumors that responded well to radiation, and some of these women survive years without other distant metastases causing problems. This may be due to both intrinsic biological features as well as brain-penetrable drugs (such as Lapatinib) that are used in HER2+ patients. 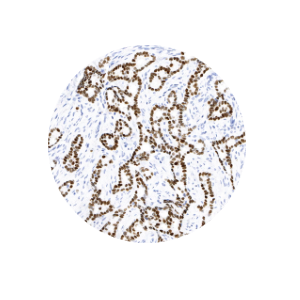 This post is a summary of how IBC brain metastases are treated and the ongoing clinical research in the area of breast cancer brain metastasis. Note that leptomeningeal disease is a separate entity and does not fall under these general approaches. Brain metastasis therapies fall into 2 different types – local treatments (ie surgery or radiation) or systemic therapies. How does one decide where to begin? The general guideline is if there are 1 or only a few lesions that are located in areas that are safely resectable or target-able by radiation, then local therapy is best. Surgery may be followed by radiation if a large solitary tumor is removed. Gamma knife/Stereotactic is the term for the type of targeted radiation that is frequently used to target a small number of lesions at once (say 1-5), usually given over 1-5 consecutive days. One thing to know is that gamma knife can be repeated later on if you develop new brain tumors that meet the same criteria. Depending on the location, even re-radiation may be possible, although depending on the dose and timing, there may be a risk for radiation necrosis which is a serious adverse event. If there are numerous brain lesions scattered throughout the brain, then whole brain radiation (WBR) may be a possibility. The side effects from WBR can be significant – both cognitive and physical problems may be triggered by radiation, although some of these might be related to the brain metastasis rather than treatment-induced. Discuss the pros and cons of WBR with your radiation oncologist. After local therapy or if local therapy cannot be done, then there are options for systemic drugs. Xeloda is the only known cytotoxic chemotherapy (FDA approved for breast cancer) that has good blood-brain barrier penetration. The blood brain barrier is a network of blood vessels linked with special cells that function to keep toxins and bacteria out of the brain – unfortunately this barrier doesn’t differentiate between true toxins and drugs to treat neurological diseases. Lapatinib (Tykerb), which is an EGFR and HER2 targeted inhibitor, is another brain-permeable drug that is sometimes used. After surgery if there is no known residual disease and any other organ metastases are stable or responding, generally the previous systemic therapy is not changed, as per the recent ASCO brain metastasis guidelines. Close follow-up by brain MRI approximately every 3 months is warranted post-radiation/surgery and unusual/progressing symptoms should be taken seriously. If you are HER2+ there are a number of HER2 tyrosine kinase inhibitors being evaluated. The 2 drugs that can cross the blood-brain barrier are Neratinib and ONT-380, both of which are oral drugs. There is also some recent data on Kadcyla being able to enter a non-intact blood brain barrier. Some of these trials specify pre-treated and asymptomatic patients only, making them ideal options for new brain lesions that arise after primary treatment. Speak to your medical oncologist regarding the best option(s) for your situation. And finally a couple of targeted inhibitors under investigation to inhibit signaling pathways involved in metastasis: Cabozantinib is a c-Met inhibitor that is being tested in all subtypes of brain metastasis. BKM120 is a pan PI3K inhibitor that is being tested in triple negative brain metastases. The PI3K pathway is frequently constitutively active in TNBC, and is known to cause resistance to chemotherapy and promote metastasis. Therefore the hypothesis of this study is that blocking PI3K with BKM120 may sensitize the tumors to xeloda, a chemotherapy that is able to cross the blood-brain barrier effectively. This study has not been updated in a year, so the current enrollment status is unknown. We will update if we hear back from the trial coordinator. Dr. Angela Alexander submitted this post due to a high volume of requests for brain metatasis information. Dr. Alexander is TRIUMPH postdoctoral fellow in cancer biology. Her work at MD Anderson involving coursework, clinical rotations and research focused on finding new targeted therapies in inflammatory breast cancer based on signaling pathway alterations. If you would like to learn more about her work or have an insider view of a research doctor, you can read more on her personal blog, The Cancer Geek. Thank you Angela for your dedicated participation.